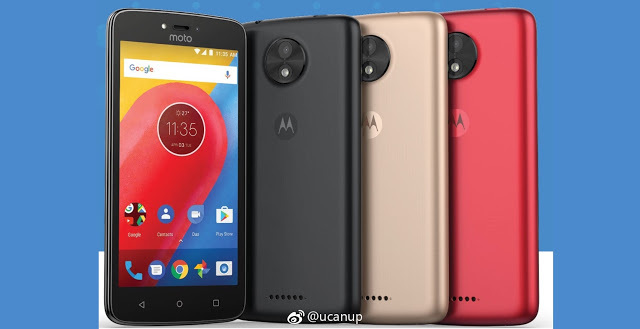 Moto is working on Moto Z 2017, Moto E4 , E4 Power and also entry level Moto C smartphone which is expected to be priced lower than Moto E Series. Now Press image and Specs of Moto C leaked online. Moto C will feature a 5-inch FVGA Display with 854x480 resolution powered by MT6737m processor with 1GB RAM and 16GB Internal Storage. On camera it has a 5MP Rear camera and 2MP front camera packed with a 2300mAh Battery. The Phone is expected to come with Android Nougat out of Box which will be priced under $100. Moto E4 and E4 Plus also rumored to come with 4000mAh and 5000mAh Battery. No more details have been leaked yet. Moto C is expected to launch Soon.